#24 Nissan GT-R edges #81 J-Fly Racing Audi by just 0.014 seconds! 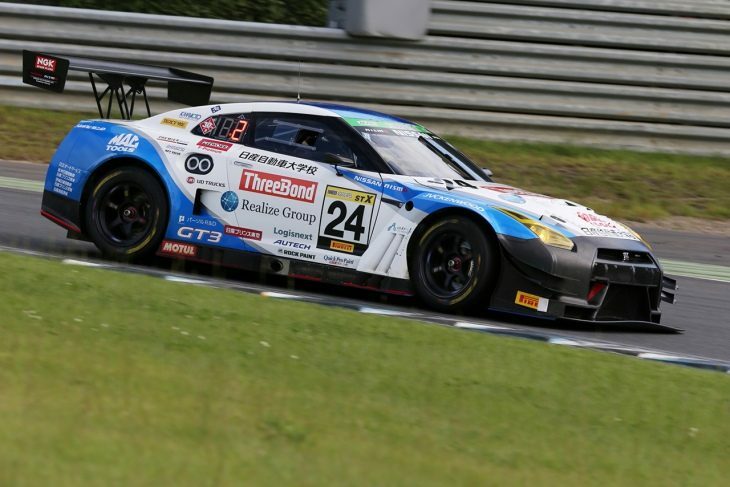 The #24 ThreeBond Nissan Gakuen GT-R GT3 of Yuudai Uchida, Tomonobu Fujii, and Kazuki Hiramine took a big step towards clawing back their points deficit in the premier class of the Pirelli Super Taikyu Series, as Uchida and Fujii took pole position for the third time in 2018, their second in a row. 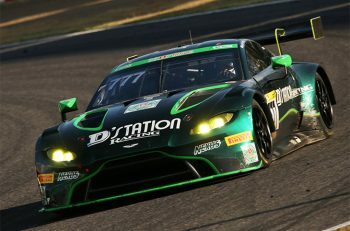 The gentleman drivers took part in the first round of qualifying, and despite clipping a pylon pole in the session, it was Uchida who led the way in the first round with a 1’54.165, beating Teruhiko Hamano in the #99 Y’s Distraction GTNET GT-R by just 0.020 seconds. Jeffrey Lee in the #81 J-Fly Racing Audi R8 was third-quickest in the first round. Round 2 saw the pro drivers take part, including a surprise appearance from Rebellion Racing LMP1 star Mathias Beche – driving with Lim Keong Wee and Melvin Moh this weekend in the pink #83 Phoenix Racing Asia Audi R8 LMS! Hideki Yamauchi, who won the most recent Super GT race at Sportsland Sugo a week ago, led the second session in the #3 Endless GT-R with a 1’52.639, leading by just 0.025 seconds over André Couto in the #81 J-Fly Audi in 2nd, and Fujii in the #24 Kondo Racing GT-R was third in the session. Uchida and Fujii finished with a combined time of 3’47.032, just 0.014 seconds quicker than the combined times of Lee and Couto, who along with Shintaro Kawabata will start 2nd. This gives the #24 Kondo Racing GT-R crew a bonus point for pole position, closing their gap to the #99 GTNET Motor Sports GT-R team to 39 points, with 31 more available for winning Sunday’s 5-hour race. The #99 Y’s Distraction GT-R of Hamano, Kazuki Hiramine, Kiyoto Fujinami, and Sun Zheng qualified 3rd, and can clinch the ST-X (FIA GT3) class championship tomorrow if they simply finish where they start – but 4th or better will give them the title. 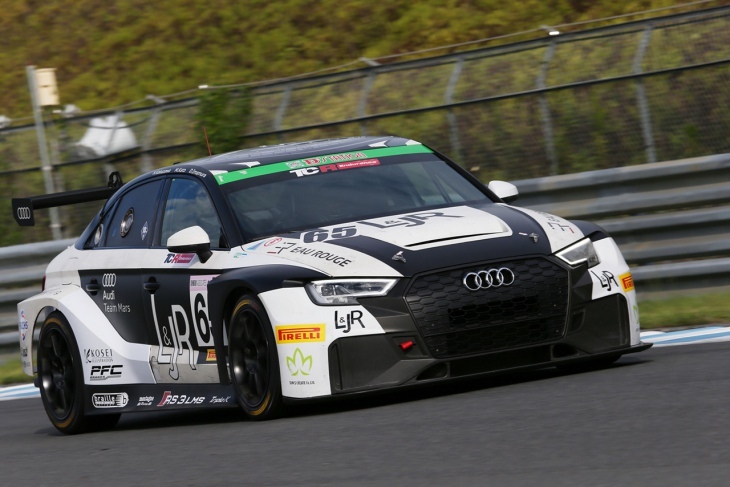 In the ST-TCR class, the #65 L&JR Mars Audi RS3 LMS (Daisuke Imamura/Masanobu Kato/Hiroki Kokuzawa) took pole position in class (8th overall) for the 2nd time in three races, ahead of the championship-contending #98 Floral Honda Civic TCR (Taiyou Iida/Hiroki Katoh/Keishi Ishikawa). Imamura and Kato’s combined times were 1.785 seconds faster than those of Iida and Katoh. The #10 Racingline Performance Volkswagen Golf TCR (Philippe Devesa/Shogo Mitsuyama/Mitsuhiro Endo) was third-fastest. As for the championship-leading #97 Modulo Civic TCR (Tadao Uematsu/Shinji Nakano/Hiroki Otsu/Takashi Kobyashi), their heavy allotment of 50kg Success Ballast did them no favours as they qualified 2.9 seconds down, 8th in class. A win or second place finish will clinch the title for the #97 team, who lead by 34.5 points. Another close battle was had for ST-3 class pole position, with the top three teams in the class championship separated by just 0.259 seconds after qualifying. 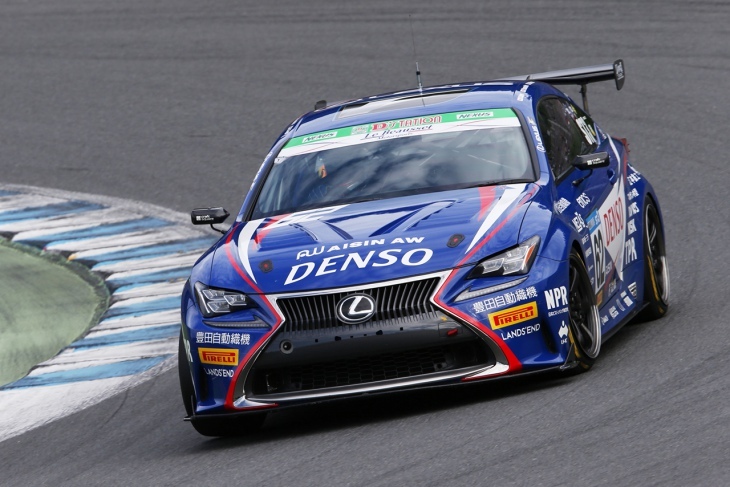 The pole position (16th overall) went to #62 Denso Le Beausset Lexus RC 350 (Koki Saga/Kenta Yamashita/Ritomo Miyata), who earn a critical bonus point thanks to Saga and Yamashita’s qualifying efforts. They edged out the 2nd-place #38 Muta Racing Advics Lexus RC 350 (Makoto Hotta/Ryohei Sakaguchi/Morio Nitta) by 0.039 seconds, in that team’s first race with the newer-spec RC 350. Le Beausset Motorsports are now within 4 points of the ST-3 championship lead thanks to their first class pole of the 2018 season. Qualifying third was the championship-leading #68 Saitama Toyopet GreenBrave Toyota Mark X (Naoki Hattori/Shigekazu Wakisaka/Takayuki Hiranuma). The #6 Shinryo Auto/Dixcel Mitsubishi Lancer Evolution X (Tomohiro Tomimasu/Yasushi Kikuchi/Masazumi Ohashi) qualified on ST-2 class pole position (20th overall) ahead of class championship leaders, the #59 DAMD Motul Subaru WRX STI (Manabu Osawa/Hitoshi Gotoh/Takuto Iguchi/Mizuki Ishizaka), by 0.7 seconds on aggregate – the third pole for the Lancer this season. 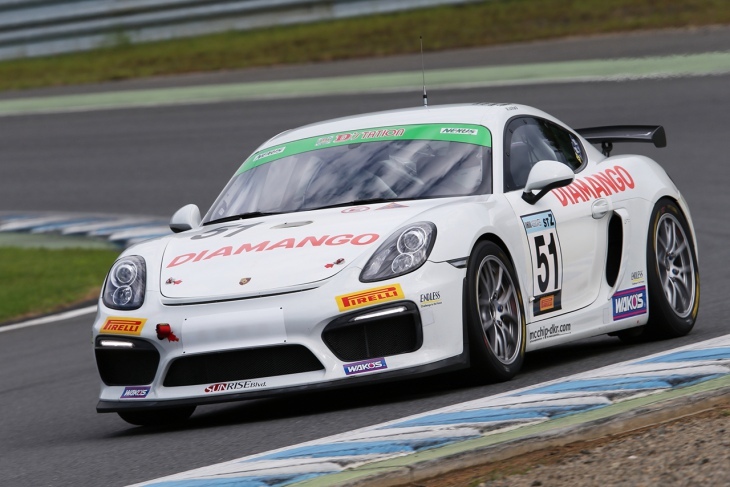 It was a disappointing qualifying for the only FIA GT4 car in the field, the #51 Diamango Porsche Cayman GT4 (Masamitsu Ishihara/Yuya Sakamoto/Daisuke Ikeda). Gentleman driver Ishihara was nearly 14 seconds slower than pro driver Sakamoto’s time between the two rounds of qualifying. They’ll start 27th overall, towards the back of the “Group 1” grid. In ST-4, the #58 Kobayashi Racing Project Honda Integra Type R (Koichi Kobayashi/Resshu Shioya/Hiroshi Ito) took pole position for the Group 2 cars, over the championship-leading #86 TOM’s Spirit Toyota 86 (Takamitsu Matsui/Sho Tsuboi/Yuichi Nakayama). A finish of fourth or better will clinch back-to-back titles for the TOM’s Spirit 86, over their nearest rivals, the #884 Hayashi Telempu Shade Racing Toyota 86 (Katsuyuki Hiranaka/Hiro Hayashi/Hiroki Yoshida), which qualified sixth in class. And continuing a theme of front-wheel drive Hondas coming to the fore at Honda-owned Twin Ring Motegi, the #4 Bride Honda Fit RS 3 (Hidefumi Minami/Yuya Ota) took pole in the ST-5 class, ahead of the #168 FCA Racing Honda Fit (Jun Fujii/Toshihiro Kubota/Shin Umeda). The ST-5 championship leaders will start at the very back of the grid, the #88 Murakami Motors Mazda Roadster (Hiroyuki Murakami/Keiji Amemiya) in 8th, and the #2 Team221 Roadster (Katsuhiko Tsutsui/Koji Yamanishi/Junichiro Yamashita) in 9th, with 1.5 points between them. 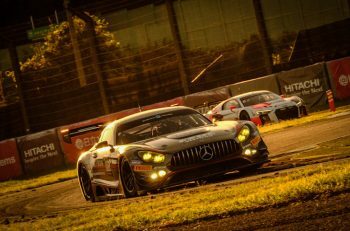 The Motegi Super Taikyu 5 Hour Race starts at 12:00 JST (local time) / 4:00 BST / 5:00 CEST / 11:00 PM Saturday EDT. And not only will the race be live and free to watch on the series official YouTube channel, but the series has introduced a live timing and scoring client for those wishing to follow along with the race in depth!